NEW YORK/WASHINGTON, (Reuters) – As recently as February, Special Counsel Robert Mueller’s team dropped hints that the inquiry into Russia’s role in the 2016 U.S. election might unearth evidence of active cooperation between Moscow and President Donald Trump’s campaign. No criminal conspiracy was documented, according to Barr. But court statements by members of Mueller’s team and evidence disclosed in various prosecutions by the special counsel had suggested on several occasions during the 22-month investigation that they were investigating a possible conspiracy. A recent indication that the special counsel was investigating a Trump-Russia conspiracy came on Feb. 4 during a closed-door court hearing in Washington. Prosecutor Andrew Weissmann said Mueller was still investigating interactions between former Trump campaign chairman Paul Manafort and his Russian business partner Konstantin Kilimnik as critical to the inquiry. Mueller’s team said Manafort shared political polling data from the campaign with Kilimnik, who the special counsel has said had ties to Russian intelligence. The two also discussed proposals for a Ukrainian client to solve the Crimea conflict in a Kremlin-friendly way, Mueller said. Three weeks after Weissmann made his comments, Mueller’s office backtracked. It said in a court filing it needed to correct its assertions about Manafort’s interactions with Kilimnik. Partially redacted court filings indicated the correction may relate to the polling data. When Mueller’s report is released – with parts blacked out by Barr to protect certain sensitive information – it is unclear how harsh a light it will shine on the contacts between Trump campaign figures and Russians. Those making contacts included the president’s son Donald Trump Jr., son-in-law Jared Kushner, former Trump lawyer Michael Cohen and campaign figures Manafort, Jeff Sessions, Michael Flynn and George Papadopoulos. Mueller and U.S. intelligence agencies have concluded Russia employed hacking and propaganda to sow division in the United States, harm Democratic candidate Hillary Clinton and boost Trump’s candidacy. Moscow has denied election interference. Alan Futerfas, a lawyer for Trump Jr., declined to comment. Another avenue related to potential conspiracy was Mueller’s pursuit of longtime Trump political adviser Roger Stone, who had suggested he had a relationship with the WikiLeaks website and advance knowledge of its release of Democratic emails the special counsel said were stolen by Russians to hurt Clinton. Mueller questioned more than a half dozen Stone associates to establish if he had acted as a go-between for the campaign with WikiLeaks. Two Stone associates who spoke to Reuters said Stone had struggled to make contact with Assange rather than having an inside track. Randy Credico, a New York comedian associated with Stone who appeared before Mueller’s grand jury, is a case in point. Text messages between Stone and Credico seen by Reuters show Stone sought to use the comedian as an intermediary with Assange and urged Credico to feed WikiLeaks anti-Clinton research. Credico told Reuters he never made good on the request. Stone, who has been ordered by a judge not to talk about the case, is declining comment on the investigation. 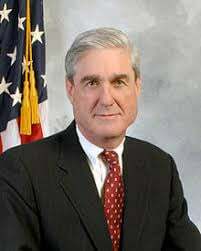 Mueller’s investigation was aided by witnesses including Flynn, the former national security adviser who pleaded guilty in December 2017 to lying about his communications with Russian ambassador Sergei Kislyak in 2016, and Samuel Patten, a political consultant and former Kilimnik business partner sentenced to probation on Friday after prosecutors credited him for assisting Mueller and other probes. It is unclear to what extent Mueller’s inability to secure cooperation from others impeded him. Mueller report finds no evidence that Trump campaign colluded with Russia -Justice Dept.